I must have those flip flops. Must have been a nice gift card and then to find it when it was thought to be gone... and then a sale! lucky you! I posted about sandals today too! funny. Great finds!! I am SO loving the elephant earrings - they are so cute!! oh my gosh. this blog is the best! These are wonderful buys Miss Nautical, especially those flips, somehow we missed those in our travels! We know that dress is darling on you, absolutely. BTW, thanks to you we are now perilously close to a Moss Mills obsession! Great finds! The flip flops are fantastic! OH MY GOSH I love those flip flops!!!!!!!! 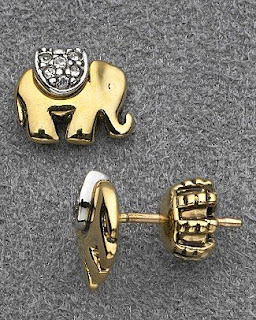 I love love love the elephant earrings! Kate, I'm so jealous! Great finds! You need to teach me how to shop online like you do! Ack! 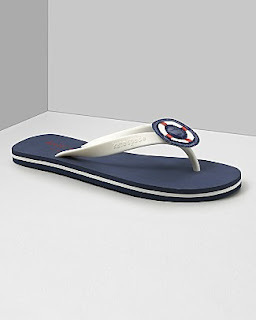 Kate Spade flip flops, could it be true? I love them!